Looking for that perfect gift from Italy? Even though I’m always a fan of tracking down artisanal gifts in person, these days, you can find some pretty great Italian gifts online, too. And I don’t mean gift baskets where the “parmesan cheese” hails from Wisconsin. Because it’s that time of year again, I spent some time scouring the interwebs to find the best gifts from Italy — as in, the finer things: from perfume to leather journals to olive oil. 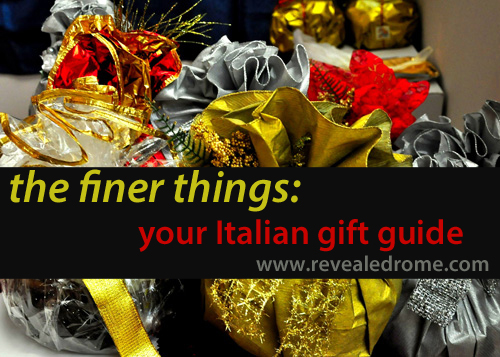 And don’t miss this year’s best gifts for travel to Italy; all of my previous Italophile gift guides can be found here). Here are just a few of the finer Italian experiences you can give — no airplane required! Got someone on your list who loves Italy, loves wine — but isn’t necessarily a wine expert? Introduce them to some of Italy’s most popular (and characteristic) wines with a six-bottle collection (above) that tours the peninsula, from a full-bodied Barbera d’Asti from Piedmont to a crisp white Vermentino from Sardinia. Each bottle retails in the US for $10 to $15 or so, so this might not be for the super-picky sommelier on your list, but personally, I’d be happy to drink any of these. Give it with this fun, informative wine map of Italy for the whole experience. If you’ve got a serious wine-lover, on the other hand, they’ll definitely know Barbaresco, one of Italy’s most famous wines. While it’s easy to find a great one, finding a great one, abroad, at a good price, is pretty difficult. Enter the Produttori del Barbaresco 2010 Barbaresco, at $34, this is one of the best-value Barbarescos out there (and made by a group of Barbaresco winemakers that got their start as a 19th-century co-op). Give a man a fish, and he’ll eat for a day. Teach a man… well, you know the rest of the saying. Which is why any foodie or aspiring chef deserves to have The Food Of Italy (left), a collection of essays by food journalist Claudia Roden, on their bookshelf. One of the few books out there that covers Italian cuisine region by region — which you already know is key — each chapter comes both with recipes and a section on each region’s wines. Bonus: It’s got my last name on the cover! (Just in case you, you know, forgot who recommended it). 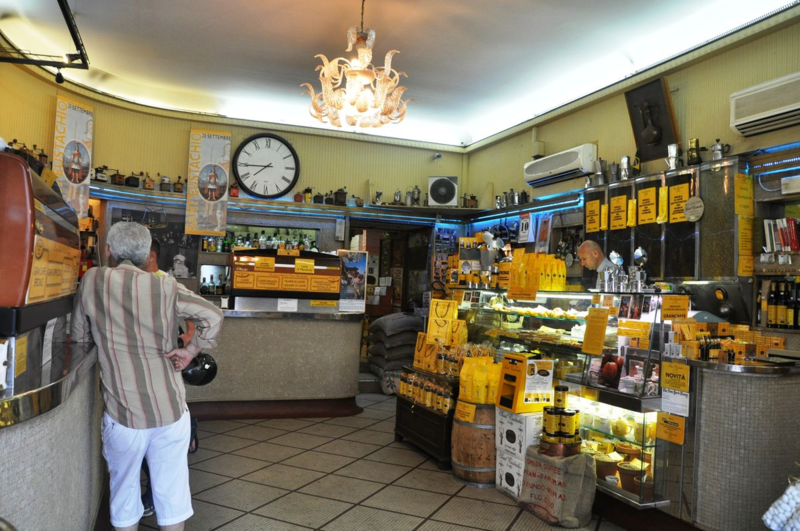 Caffe Sant’Eustachio has the reputation of having the best coffee in Rome. 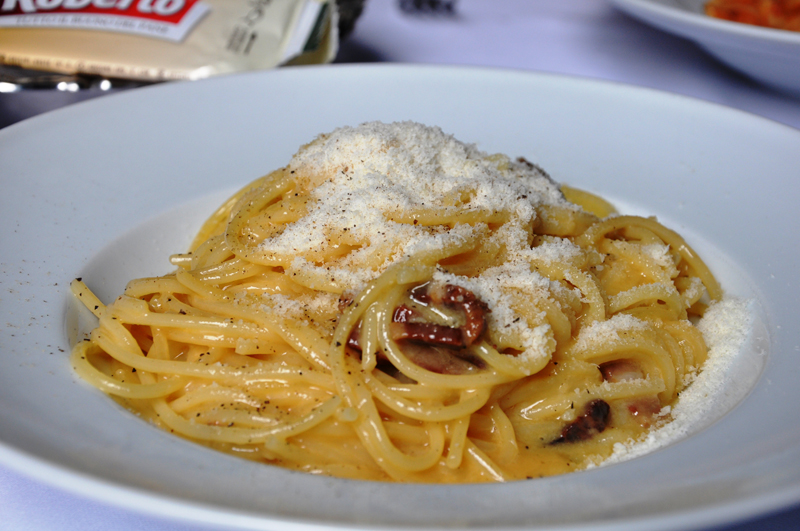 And you no longer have to be in the Eternal City to get your hands on it. (Brave new world out there…). Give the gift of Italian coffee with one of the cafe’s signature roasts and a Moka coffee maker (you know, the kind every Italian has in their kitchens. I may or may not have two). Or, for the sweet-toothed coffee-lovers out there, there are always their chocolate-covered coffee beans . Earlier this year, my mother introduced me to the art of making fresh pasta at home. It was a revelation (thanks, Mom!). I knew how simple some pasta dishes were to make at home, but I couldn’t believe how easy making their most important ingredient was, too. Plus, it feels a little bit like being a toddler again, up to your elbows in Play-Doh. (Actually, I think that’s when I had last used the particular machine in question). So give the pasta-lover in your life the ultimate gift with their very own pasta-maker ; with one, you can make everything from fettuccini to lasagne. Pair it with this super-cute apron, printed with dozens of different pasta types and their names (farfalle! cassarecce! rotelle!) (although if you happen to be a guy giving an apron to a woman in your life, tread lightly). Bonus points if you can spot the apron’s spelling error. A classic, handmade-in-Italy leather journal, like this one, never went unappreciated. Although I’m an even bigger fan of this chocolate-brown leather journal (left) with gold-gilt writing (in Italian, of course!) on the cover. Writing a note by hand (never mind receiving mail) seems to be one of today’s most decadent pleasures, especially when it’s on nice paper. I love this elegant stationery set with its gold-edged Florentine fleur-de-lis pattern, all designed and printed in Italy. (Poke around the Florentine Shop’s other offerings — they have lots of other pretty patterns, too). This extra-virgin Italian olive oil (left) is legit. That alone is rare. But even better, the D.O.P. oil, by well-respected oil-maker Frantoi Cutrera, has won lots of awards, “best in the world” included. At $40, it’s also a good price. (No, really. That $10 grocery-store oil you bought isn’t even the same species). And, as a devastatingly low 2014 harvest means olive oil prices are on the rise, it’ll seem like an even better one soon, sadly. Stockpile now! Or go a step further with a set like this, which has six extra-virgin olive oils by Frantoi Cutrera. 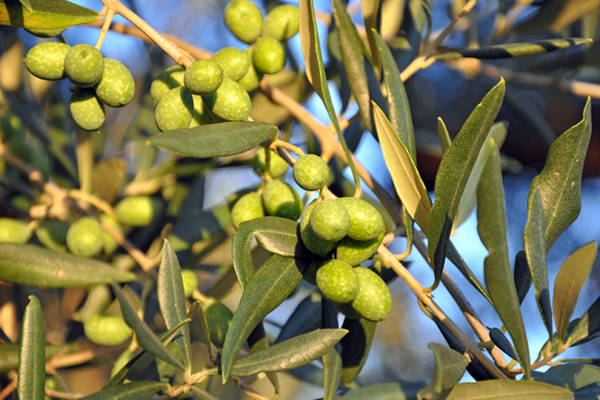 Since each is produced from a different olive, it’s a great way to give the gift of not only olive oil, but learning about oil. Give either one with Extra Virginity: The Sublime and Scandalous World of Olive Oil — easily the best nonfiction book I read in 2013 — by investigative journalist Tom Mueller. Seriously, it will upend how you think of that slippery little substance. (And give new meaning to the word “slippery”). I swear by olive oil soap (and lotions, and…). But, just like when you’re eating it, you want to make sure that what you’re putting on your body is only the good stuff. Which is why I like Perlier Olivarium, which cultivates its ingredients on 150 acres of land outside Turin, all with organic, pesticide- and insecticide-free farming. Their paraben-free hand mask, ultra-rich body butter and hand soap, all made from their own (organic) olive oil and lycopene (from tomatoes), are the perfect gift (even just for yourself!) for fighting off moisture-sucking cold.